We live in a world where security cameras are plenty. Each one we have tried is unique, and they all come with their pros and cons. SpotCam Sense is another entry to what looks like a reasonably saturated market. However, with a great image quality, lots of sensors and free cloud storage, this is one camera not to be ignored. Records 24/7 instead of just on a trigger. Free 1 day of cloud storage, with options to buy longer storage. The device itself is simple and beautiful. Based on looks, security cameras can be divided into two categories. The black and scary looking ones, and the friendlier warmer (and often white) looking ones. The issue of colour aside, we live in a world where we look at cameras with a certain suspicion. The SpotCam Sense looks to appear nicer and friendlier. In a way, the design is not that different from most baby monitors. The front shows off the camera lens, which is surrounded by the IR LEDs for night vision. Below is a status LED, and the word Sense. I assume that the area above it actually contains some sensors. At the back is the power slot. Also, there is a rocker switch which can be flicked to adjust the settings. What is missing from this device is the protruding antenna. What is also missing is an SD Card slot. The device comes with a wall mounting bracket which means it can be mounted anywhere. SpotCam Sense probably had the easiest setup process I have ever seen on one of these cameras. You simply download the app, ask it to add a camera, and it pretty much takes care of the rest. You don’t have to fiddle with WiFi settings, scan bar codes, or any of the stuff you usually end up doing. It is clever, it is easy, and that makes it perfect. From there, you can then carry on and set up alerts. These can be based on motion, audio or vitals such as temperature, humidity or light. You can also integrate it with IFTTT. 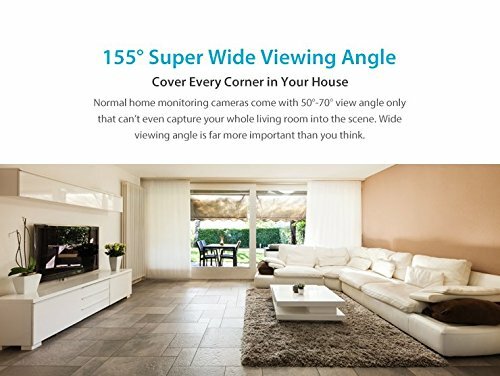 The device offers great image and video quality. Unlike the image above, you get bit of a fish eye effect, but that is pretty common on any such camera. While you can easily go back and look at the last 24 hours of video using the cloud service, a fun feature is the ability to create a time lapse video using this. Annoyingly, you can only download files in FLV (Flash format), or upload direct to YouTube. This is a purely unedited version of the last 24 hours. It is the camera facing a window, so in the start you see some of the IR cameras being reflected against it. After that, you can see the sun come up, the clouds and lights move, and the shadows move to the other end. 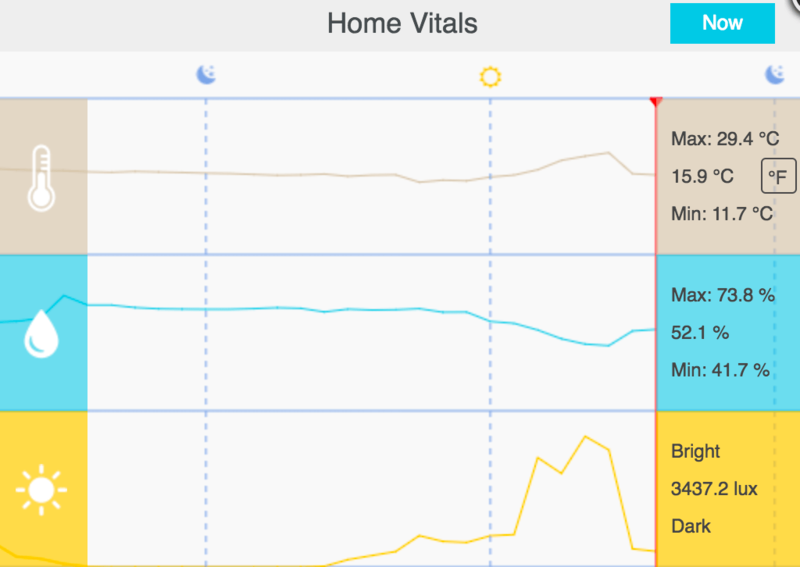 Another great feature is that this will monitor your vitals as well. This is particularly useful in rooms where your kids are asleep, or in places such as warehouses, where you may want to monitor temperature and humidity on top of security. You can also set up email triggers based on these. Another great feature included in the device is the IFTTT integration. You can turn the camera on or off based on your location, via Alexa, etc. You can also turn other things on or off (such as a Wemo switch, a Philips Hue bulb, etc) if a movement is detected. A pretty neat feature, if you ask me! More information on the SpotCam Sense can be found on their website. It retails for around £159 and can be bought via various online retailers such as Amazon. A pretty nifty device with lots of clever features. This one is definitely staying around!